I’m still working away at my Kickstarter project, and hopefully still on track for a launch before the end of the week. 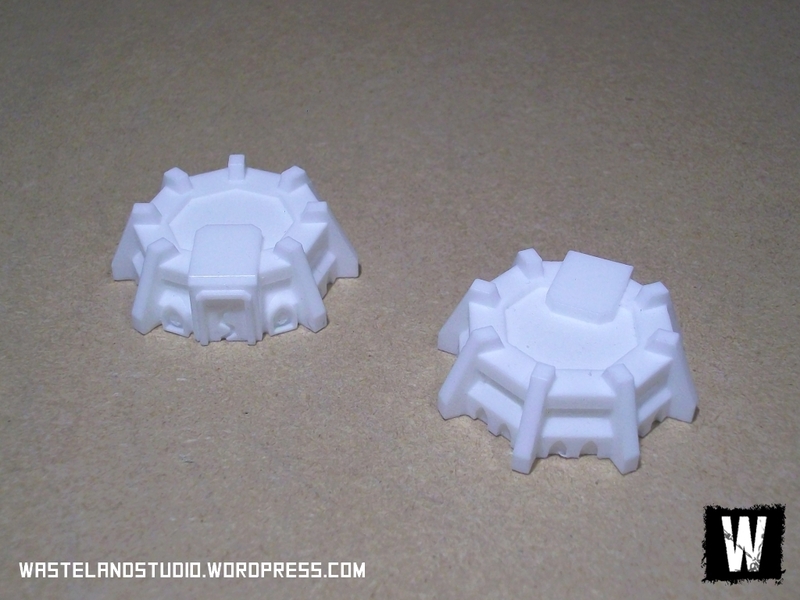 While a lot of the work lately has been pretty boring to look at (yay math…international shipping is a harsh mistress) just this week Mike has given me the first examples of the last parts I’ll be printing and molding before the actual campaign. 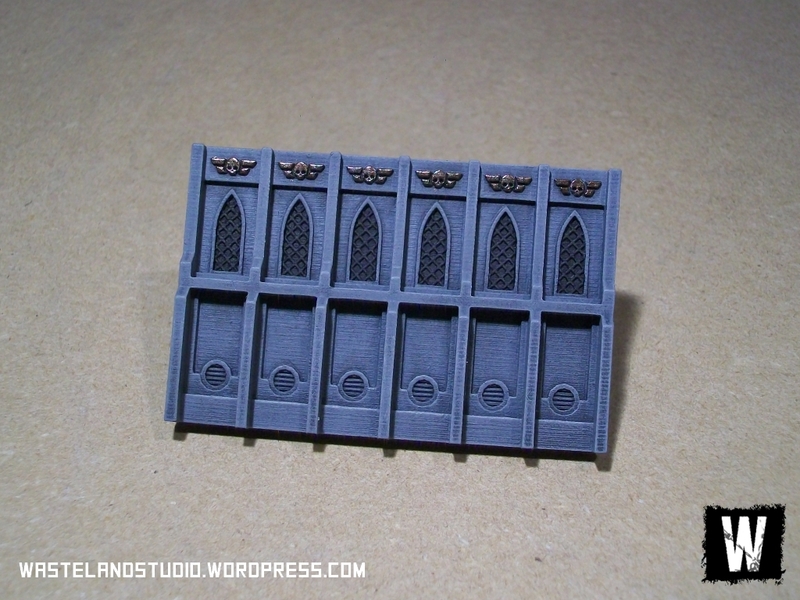 So I’m pleased to present the actual end product – complete buildings, just like the ones that backers will be receiving from the campaign itself. Here they are assembled (they’ll ship in a few parts each, which will save big on shipping and resin) and in just a few days I should have these painted up and ready for promo shots to appear in the campaign. 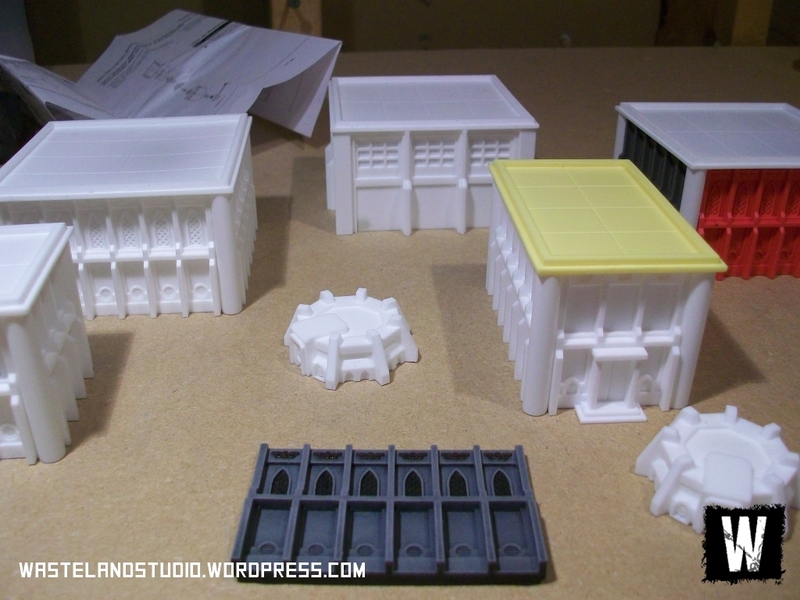 In the first image you can also see a new piece I haven’t shown before – bunkers! They will likely become some sort of Stretch Goal add-on, a free bonus I can toss in with pledges if the campaign does well. I had my doubts as to how they would look after going through the printing and molding process, but they’ve turned out almost perfect. There’s still lots of work to be done in order to be ready to launch, but hopefully in just a couple weeks I’ll have everything ready to go. It’s all going to start coming together over the next little while, so I’ll try to take a moment and post another update or two.